We are living in a connected world, a world interlinked by a staggering 8.4 billion connected things. It’s not all wearable fitness devices and smart TVs, business today is utilising connected technology at an increasingly accelerated pace. The reality is with the growing industrial applications for the much talked about internet of things(IOT), the Fourth Industrial Revolution has well and truly landed. Industry today is on the way to as many as 3.1 billion connected devices in 2017, spending almost a trillion dollars globally on the emerging opportunities of this technology. No area of industry is removed from the huge disruptive opportunity of this connected world. This is a revolution which will impact every corner of society, and that certainly holds true for our own roles in procurement. At its heart the IOT is about shared opportunity, where enhanced communication and data insight help unlock value potential and deliver greater efficiencies for business. That very same ambition is what drives success in delivering an effective strategic procurement function. The IOT amplifies our opportunity for delivering transformational change, from connected insight to detailed data analytics driving efficiency through every level of procurement. These capabilities aren’t a revolution waiting to emerge in the distant future, the reality of the internet of things is delivering impact in procurement functions today. Connected ‘smart’ facilities are already providing new opportunities to some of the world’s biggest logistics operators. Chinese super-company Alibaba operate warehouses where up to 70% of the work is completed by robots, connected machines carrying up to 500kg loads and orchestrated by a smart connected network. These opportunities aren’t headline-grabbing gimmicks, surveys show 7 in 10 decision makers are eager to embrace and accelerate emerging warehouse technology such as this by 2020. Outside of factories, connected devices are making it easier than ever to track supply chains and transport fleets across diverse geographies in real time. These connected fleets ensure transparent supply chains while providing extensive opportunity for cost optimisation, tracking and analysing the most efficient routes and speeds for fleets, ultimately driving down costs in the wider supply chain. These big picture ideas offer a fascinating insight into a rapidly emerging opportunity, but if there’s one thing we know, it’s that simple opportunities are often those that have the most impact. Smart robots may well be the eye-catching excitement of the Fourth Industrial Revolution, but it’s in everyday application that connected technologies begin to unlock the greatest opportunity. The benefits of IOT in procurement aren’t restricted to optimised local networks and dazzlingly high-tech centres of operation, they’re truly global. That’s why the IOT and the opportunities of the cloud are so inseparably and intrinsically linked. In this globally connected environment, there’s already one connected device which is as ubiquitous in business as P&L projections. This is an opportunity literally and metaphorically sitting in the palm of your hand – the world of smartphones. Smartphones are so fundamental to our modern working environment that the truly staggering opportunity they present is widely taken for granted. These super computers in our pocket are our own gateways to the internet of things, an opportunity for data insight and connected oversight that is invaluable to strategic procurement functions. The sheer scope of our digital audience highlights how established this opportunity is in Malaysia, and the reality of our connected world takes us far beyond. While the reality of our connected world continues to grow, the potential for exciting disruption will accelerate along with it. The truth is you don’t need a robot to unlock the exciting opportunity of a world of connected data for your business, you’ve already got the key sitting in your hand. 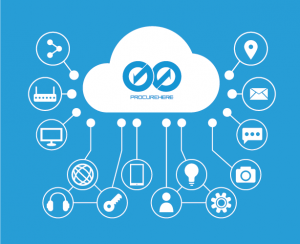 Explore Procurehere’s cloud-based Version 7.0, and unlock a world of connected opportunity for your business.